Healthcare affiliate program that ensures 10% life-time referral income and pays every week with no hold or minimum threshold. I got hybrid deals so you get a payment on conversion plus % every month in the gambling/bingo/sportbetting niche let me know if you are interested many brands to choose. I'm working with ExpertMobi, professionals support and on time payments. I really like it. I have not joined a lot affiliate programs but the best one I joined was ClickPromise because it's underground and not many people know about it. Warrior+ work well to me. Payment straight away to paypal. This is my latest sales so far. Its enjoyable when you know the right technique to make money with affiliate. We are actively recruiting new affiliates for my outdoor/survival business at Survival Wristbands. We offer 35% on every sale you refer. Please see the link in my sig below if you or anyone would like to join our affiliate program. Thanks! 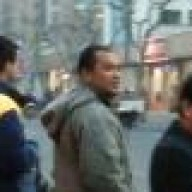 If you're interested in a performance based network, YTZ is a great choice! They have CPA, CPL, CPI and CPS offers across many verticals. Their smartlink rotators are what they specialize in too! It depends on your traffic. 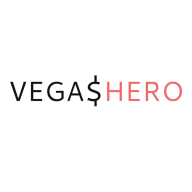 Are you part of Vegas Hero WordPress website and plugin ?? No. They're advertising in my signature. Please contact them on their website. Hello Zigi, let me know if you have any questions.